ROSS, Sir JOHN, naval officer, explorer, and author; b. 24 June 1777 in Balsarroch, Scotland, fourth son of the Reverend Andrew Ross, minister at Inch, and Elizabeth Corsane; m. first 1816 Christian Adair (d. 1822), and they had one son; m. secondly 21 Oct. 1834 Mary Jones; d. 30 Aug. 1856 in London. John Ross entered the Royal Navy as a first-class volunteer on 11 Nov. 1786 and served in the Mediterranean aboard the Pearl until December 1789. The following year he was transferred to the Impregnable, stationed at Portsmouth. During the next eight years he stayed on the ship’s books but, on the advice of his captain, actually served in the merchant marine as an apprentice seaman in order to gain seagoing experience. Returning to the Royal Navy in September 1799, he was promoted midshipman and then served aboard various vessels in the North Sea and the Mediterranean until, with the outbreak of war in 1803, he was posted to the Grampus, under Admiral Sir James Saumarez. On 13 March 1805 he received his lieutenant’s commission, and later that year was seriously wounded in a naval engagement under the batteries of Bilbao, Spain. Some time during his merchant service, Ross had learned Swedish and in 1808, during a combined Swedish-English action against a Russian squadron, he was called upon to act as liaison officer and interpreter for Saumarez aboard the Swedish flagship. For this service he was nominated a knight commander of the Swedish Order of the Sword in August 1809. On 1 Feb. 1812 he was promoted commander and at the end of March placed in command of the Briseis on the Baltic station. He distinguished himself in several actions, most notably against French vessels, before being transferred to the sloop Actæon in June 1814 for service in the North and White seas and along the coast of Ireland. In August 1815 he was given command of the Driver. By 1816 the Napoleonic Wars were over. Ross, at the age of 39, had been almost constantly at sea for 30 years and had apparently been wounded no fewer than 13 times. A vigorous, ambitious, competent officer, he prospered in his naval career through constantly increasing pensions and considerable prize money. While he was commanding the Driver, on duty along the Scottish coast, he and his first wife were happily planning and building their new home, North West Castle, at Stranraer near his place of birth on Loch Ryan. He was enjoying peace-time service and looking forward to retirement. In December 1817 he received orders that would, instead, open a new chapter in his naval career. 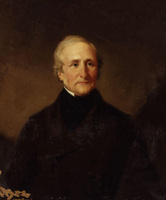 With the coming of peace the British Admiralty found itself at liberty to turn to preoccupations other than those of defence, and under the guidance of John Barrow, second secretary of the Admiralty, interest in the possible existence of a northwest passage was renewed. Barrow had been receiving reports from whaling vessels in the North Atlantic describing an unprecedented breaking up of the ice to the east of Greenland that had apparently sent exceptionally large packs of ice and an unusual number of icebergs as far south as 40°N. 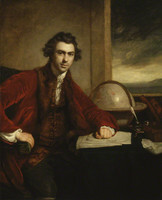 These observations led to speculation about a general reduction of the Arctic ice barrier and prompted Barrow, with the support of Sir Joseph Banks*, president of the Royal Society, to prepare plans for two simultaneous expeditions: one to proceed towards the North Pole in an attempt to find a passage through the ice to Bering Strait, and the other to search for a passage to the west through Davis Strait. Two series of graduated prizes were also drafted, and adopted by an act of parliament passed in 1818, to reward the first vessels to pass various longitudes westward from Davis Strait within the Arctic Circle and those reaching various latitudes in an effort to attain the North Pole. On 11 Dec. 1817 Ross received a letter from Sir George Hope, of the Admiralty, informing him that he had been selected to command the expedition through Davis Strait; Captain David Buchan* was commissioned to lead the polar expedition. 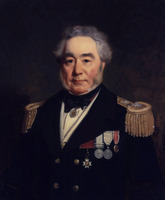 Ross arrived in London on 30 December and, after ascertaining from Lord Melville, first lord of the Admiralty, that his chances for promotion would be enhanced by accepting this service, he went to visit the ships being fitted out for the expeditions. He selected the 385-ton Isabella as his flagship and the somewhat smaller Alexander as its consort. 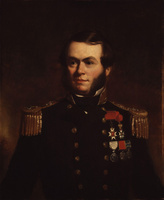 Lieutenant William Edward Parry was placed in command of the Alexander and among the junior officers attached to the expedition were Ross’s nephew Midshipman James Clark Ross* and Lieutenant Henry Parkyns Hoppner*. Also, on the recommendation of the Royal Society, Captain Edward Sabine* of the Royal Artillery was assigned to the Isabella to conduct scientific observations. Ross’s instructions, dated 31 March 1818, were to go northward in Davis Strait and Baffin Bay in an attempt to find an open passage round the northeast corner of North America and to proceed westward to the Pacific through Bering Strait. He was to make observations on currents, tides, ice conditions, and magnetism, and to collect natural history specimens. Ross took his ships down the Thames in April and, after a brief stop in the Shetland Islands where he met with Buchan, he sailed for Greenland. During the first leg of the voyage the existence of the sunken land of Buss was disproved when the ships passed over the location where it had been laid down on the charts since 1578 and found no bottom at 180 fathoms. In Davis Strait by the end of May, the expedition encountered icebergs and, heading north, met a number of whaling vessels having difficulty with the pack-ice. At Waygatt Strait, between Disko Island and Greenland, Ross found 45 whalers detained by the ice and was himself held up for a few days. Finally leaving the last of the whalers behind him in Melville Bay, which he named, at the beginning of August, he entered waters that no other European had visited since William Baffin*’s voyage in 1616. With the help of John Sacheuse (a south Greenland Inuk who had gone to England with a whaler, learned English, and joined Ross’s expedition as interpreter), contact was made with several groups of Inuit along the northwest coast of Greenland. Ross, who named these people “Arctic Highlanders,” devoted a chapter in his journal of the voyage to his observations concerning them. The expedition inched its way north past steep cliffs and through ice-tossed waters teeming with little auks, whales, and narwhals. Ross confirmed many of Baffin’s observations and bestowed names of his own on various geographical features. He named the capes on either side of Smith Sound after the Alexander, to the east, and the Isabella, to the west, and erroneously concluded that the sound was closed off by land to the north; it actually opens into Kane Basin [see Elisha Kent Kane] whence a channel leads to the Arctic Ocean. Turning to the south, Ross passed Jones Sound and again, claiming to have seen mountains across its western end, mistakenly declared it to be a bay. On 30 August he arrived off the inlet Baffin had named Lancaster Sound and in the early hours of 31 August sailed westward into the sound with the Alexander trailing behind. At about four in the morning Ross claimed he saw a ridge of high mountains across the bottom of the inlet and at three in the afternoon he once again observed what he believed to be mountains to the west. He named the range Croker’s Mountains after John Wilson Croker, first secretary of the Admiralty, and against the wishes of his junior officers he decided to turn back. This was the critical moment of the whole voyage; Croker’s Mountains were a mirage that would haunt Ross for the rest of his life. Heading south down the west coast of Davis Strait, on 1 October he passed Cumberland Strait (Sound), which he thought offered a better chance of a passage but which, because of the lateness of the season, he did not investigate. Turning back for England, he reached Grimsby on 14 November and two days later arrived in London with his logs and papers. 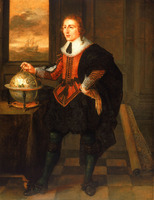 This voyage had confirmed many of Baffin’s 17th-century discoveries and added the outline of Baffin Bay to the charts. Croker’s Mountains, however, immediately became the centre of a controversy that pitted Barrow, Sabine, and Parry against Ross in a lively and at times acrimonious debate. Ross’s A voyage of discovery, published in early 1819, was scathingly reviewed and ridiculed by Barrow in the Quarterly Review. Describing Ross as “an active and zealous officer in the ordinary duties of his profession,” Barrow declared him singularly unqualified for the command of a voyage of discovery, which required “an inquisitive and persevering pursuit after details of fact not always interesting, a contempt of danger, and an enthusiasm not to be dampened by ordinary difficulties.” Many points in Ross’s narrative were questioned by Barrow, the most contentious being his decision to turn back in Lancaster Sound “at the very moment which afforded the brightest prospect of success.” Citing passages from Parry’s private journal, Barrow pointed out inconsistencies and weaknesses in Ross’s account of the investigation of the sound and seriously questioned the existence of Croker’s Mountains. Ross’s presentation of scientific observations without giving credit to the officers responsible for them was also criticized. The polemic continued with the publication in 1819 of Sabine’s Remarks on the account of the late voyage of discovery to Baffin’s Bay, accusing Ross of plagiarism and misrepresentation of his opinions, and, in the same year, of Ross’s An explanation of Captain Sabine’s remarks. This controversy did not interfere with Ross’s promotion to captain, which he received on 7 Dec. 1818, although Barrow did prevent him from getting another ship. Ross retired to North West Castle, which remained his home for the rest of his life, although he usually took a winter house in some agreeable part of London. He entertained old friends and carried on a voluminous correspondence on a wide assortment of subjects ranging from phrenology to nautical instruments. He was ahead of his time in recognizing the potential of steam in warships and in 1828 he published A treatise on navigation by steam. The natural conservatism of sailors, combined with the unreliability of early engines, had created a great prejudice against steam in the Royal Navy. At about this time Ross urged the Admiralty to send a steam vessel on an Arctic voyage. Barrow was still in office and, as could be expected, the proposal was rejected. Undeterred, Ross approached his wealthy friend Felix Booth, distiller of Booth’s gin, seeking support for the project. The public-spirited Booth at first refused because of possible criticism that he was interested only in the parliamentary rewards offered for sailing through a northwest passage. However, when parliament abolished the Board of Longitude in 1828 it also eliminated the graduated rewards and Booth then agreed to sponsor the expedition. A small Liverpool steamer, the Victory, was selected for the voyage and brought around to London for preparation. Its tonnage was increased from 85 to 150 and various improvements were made. Ross assembled an impressive battery of navigating and scientific instruments and laid in fuel and provisions to last a thousand days. The public announcement of the project was greeted by a flood of applications from volunteers, many of them, such as George Back* and Henry Parkyns Hoppner, veterans of other Arctic voyages. 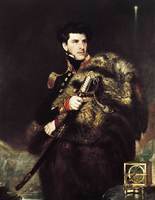 The officers, however, had already been chosen, and Ross’s nephew James Clark Ross was to sail with the Victory as second-in-command. The expedition left London on 23 May 1829 and from the outset there were difficulties with the Victory’s machinery. After a short stop in Scotland, Ross crossed the Atlantic to Davis Strait and proceeded up the west coast of Greenland. He then crossed Baffin Bay and on 6 August entered Lancaster Sound. Commenting in his journal on his earlier adventure into these waters, Ross expressed bitterly his disappointment in the conduct of Parry and the other junior officers with him in 1818 who had so openly criticized his decision to turn back, claiming as justification for his action that they had not revealed their opinions to him at the time. He was nevertheless forced to concede the mistake, saying simply that “in reality, the whole history of navigation abounds with similar errors of false conclusions.” Heading south in Prince Regent Inlet, the vessel stopped at Fury Beach, Somerset Island, and took on extra provisions from the wreck of the Fury, abandoned on this spot in 1825 [see Sir William Edward Parry]. The Victory then continued south and at the end of September 1829, after having gone about 250 miles farther south into the inlet than any previous expedition, it was stopped by ice and forced into winter quarters at what was named Felix Harbour, near Thom Bay. The expedition spent the following four winters in the Arctic, unable to free the Victory from the ice-bound coast of Boothia Peninsula. During these years, with the help of Inuit who took up residence near the vessel, the area to the west and north was explored. Having failed to notice Bellot Strait in 1829 [see Joseph-René Bellot], Ross concluded that there was no passage through the peninsula connecting with the water to the west. To the east the Gulf of Boothia was discovered and explored. On 1 June 1831 James Clark Ross located the North Magnetic Pole on the west coast of Boothia Peninsula. When it became apparent that the Victory would remain imprisoned for the winter of 1831–32, Ross decided he would have to abandon ship and in the spring of 1832 he led his men on foot north to Fury Beach where some supplies were still to be found. They constructed a shelter, Somerset House, and after repairing the Fury’s boats set off in late summer in an attempt to reach the whaling fleet in Baffin Bay. Unable, however, to make their way into Lancaster Sound because of the ice, they were forced to return to Fury Beach, where they passed their fourth Arctic winter. On 14 Aug. 1833 a lane of water opened up leading northward and the weary men set out once more in the boats. At the mouth of Prince Regent Inlet they proceeded easterly and on 26 August, a few miles west of Navy Board Inlet, a sail was sighted. Much to Ross’s astonishment the vessel turned out to be his flagship of 1818, the whaler Isabella. The rescued men were landed at Stromness on 12 October and the Rosses arrived in London one week later, just as rescue expeditions were being organized to search for them. Three crew members had died and one had lost his sight during the long stay in the Arctic. The expedition had established an impressive record for survival in the Arctic. 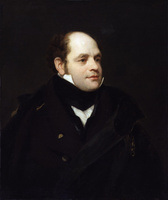 Both Ross and his nephew were received by King William IV and John Ross became the social lion of London. Hostesses vied with each other to entice him to dinner parties. He received over 4,000 letters of congratulation, together with the occasional love-letter, and was given the freedom of the cities of London, Liverpool, Bristol, and others. He made a tour of the Continent and received a number of foreign awards and medals. Ross very much enjoyed all of the attention. The Admiralty generously assumed payment of the Victory’s crew at double time up to the abandonment of the ship and then at regular navy pay to the date of their return. Parliament voted to reimburse Booth for his investment and awarded Ross £5,000. On 24 Dec. 1834 Ross was knighted and made a companion of the Order of the Bath. In March 1839 Ross had been appointed British consul at Stockholm, where he remained until 1846. 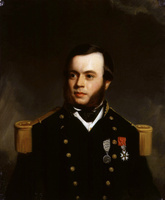 Back in England, he was one of the first to express concern over the fate of the Arctic expedition of 1845 under Sir John Franklin*, and on 9 Feb. 1847 he offered his services to the Admiralty for the command of a search expedition. The Admiralty decided it was still too early to send out a rescue party and when one was finally organized in 1848 Ross was considered too old and the command was given to his nephew. Two years later Ross took command of a private search expedition, sponsored by the Hudson’s Bay Company and various individuals, and at 72 years of age he made his third voyage into Arctic waters, aboard the 91-ton schooner Felix. Poorly equipped, the Felix was unable to be of much help and in fact was dependent upon supplies from other vessels involved in the search, under Captain Horatio Thomas Austin* and William Penny*, during the winter of 1850–51. 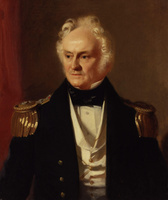 Ross returned to England in September 1851 and was promoted rear-admiral on the retired list a short time afterwards. In poor health and possibly suffering from gradual senility, he divided his remaining years between Stranraer and London. In 1855 he published a short pamphlet on the Franklin search, bitterly criticizing almost everyone associated with it. He died during one of his visits to London and was buried in Kensal Green Cemetery. The importance of Sir John Ross’s career as an explorer of the Canadian Arctic rests less on any particular or comprehensive geographical discovery than on the fame and controversy that surrounded it. Following the 1818 voyage his reputation was indelibly tarnished by the unfortunate and erroneous conclusions that Lancaster, Jones, and Smith sounds were all closed in by land. The many geographical and scientific contributions made during the second expedition are generally attributed to the energetic efforts of his nephew. The survival of this expedition was none the less a considerable achievement and one which earned for Ross the recognition he felt he deserved and had been denied by his many detractors. 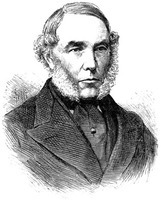 Sir John Ross is the author of numerous works on the exploration of the Arctic. After his first voyage in 1818, he published the journal A voyage of discovery, made under the orders of the Admiralty, in his majesty’s ships “Isabella” and “Alexander,” for the purpose of exploring Baffin’s Bay, and enquiring into the probability of a north-west passage (London, 1819; 2nd ed., 2v., 1819), as well as A description of the deep sea clamms, hydraphorous, and marine artificial horizon, invented by Captain J. Ross, R.N. (London, 1819) and An explanation of Captain Sabine’s remarks on the late voyage of discovery to Baffin’s Bay (London, 1819). 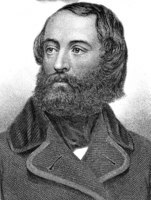 Following his second expedition he published Narrative of the second voyage of Captain Ross to the Arctic regions in . . . 1829–33; compiled principally from the evidence of Captain Ross . . . before the committee of the House of Commons (London, 1834) and Narrative of a second voyage in search of a north-west passage, and of a residence in the Arctic regions during the years 1829, 1830, 1831, 1832, 1833 . . . (London, ; re-ed., 2v., London, 1835; re-ed., 1v., Paris, 1835; re-ed., Philadelphia and Baltimore, Md., 1835); a French version appeared as Relation du second voyage fait à la recherche d’ un passage au nord-ouest, par sir John Ross . . . et de sa résidence dans les régions arctiques . . . , A.-J.-B. Defauconpret, trad. (2v., Paris, 1835). In reply to John Braithwaite’s charges about his ship’s steam-engine on this trip he wrote Explanation and answer to Mr. John Braithwaite’s “Supplement to Captain Sir John Ross’s narrative of a second voyage in the ‘Victory,’ in search of a north-west passage” ([London, 1835]). Ross is believed to have twice released comments on his dispute with Sir John Barrow. The authorship of A letter to John Barrow, Esq., F.R.S., on the late extraordinary and unexpected hyperborean discoveries (London, 1826), which is signed Alman, has been attributed to him, and he published under his own name Observations on a work, entitled, “Voyages of discovery and research within the Arctic regions,” by Sir John Barrow . . . , being a refutation of the numerous misrepresentations contained in that volume (Edinburgh and London, 1846). He also wrote A treatise on naval discipline; with an explanation of the important advantages which naval and military discipline might derive from the science of phrenology . . . (n.p., 1825); A treatise on navigation by steam; comprising a history of the steam engine, and an essay towards a system of the naval tactics peculiar to steam navigation . . . (London, 1828; 2nd ed., 1837); Memoirs and correspondence of Admiral Lord De Saumarez; from original papers in possession of the family (2v., London, 1838); On communication to India, in large steam-ships, by the Cape of Good-Hope; printed by order of the India steam-ship company, and addressed to the British public (London, 1838); A short treatise on the duration of the mariner’s compass, with rules for its corrections, and diagrams (London, 1849); and On intemperance in the Royal Navy (London, 1852). John Braithwaite, Supplement to Captain Sir John Ross’s narrative of a second voyage in the “Victory,” in search of a northwest passage . . . (London, 1835). [Alexander Fisher], Journal of a voyage of discovery, to the Arctic regions, performed between the 4th of April and the 18th of November, 1818, in his majesty’s ship “Alexander” . . . (London, ). Robert Huish, The last voyage of Capt. Sir John Ross, R.N. to the Arctic regions; for the discovery of a north west passage . . . , compiled from authentic information and original documents, transmitted by William Light, purser’s steward to the expedition . . . (London, 1835). Edward Sabine, Remarks on the account of the late voyage of discovery to Baffin’s Bay, published by Captain J. Ross, R.N. (London, 1819). L. S. Dawson, Memoirs of hydrography, including brief biographies of the principal officers who have served in H.M. Naval Surveying Service between the years 1750 and 1885 (2v., Eastbourne, Eng., 1885; repr. in 1v., London, 1969). DNB. O’Byrne, Naval biog. dict. (1849). John Barrow, Voyages of discovery and research within the Arctic regions, from the year 1818 to the present time . . . (London, 1846). E. S. Dodge, The polar Rosses: John and James Clark Ross and their explorations (London, 1973). [John Barrow], “A voyage of discovery . . . , by John Ross . . . ,” Quarterly Rev. (London), 21 (1819): 213–62. R. I. Murchison, “Address to the Royal Geographical Society of London; delivered at the anniversary meeting on 24th May, 1858,” Royal Geographical Soc., Journal (London), 28 (1858): cxxx–cxxxii. In collaboration with Ernest S. Dodge, “ROSS, Sir JOHN,” in Dictionary of Canadian Biography, vol. 8, University of Toronto/Université Laval, 2003–, accessed April 24, 2019, http://www.biographi.ca/en/bio/ross_john_8E.html.